Yeah! Supergirl! She is getting super popular these days. 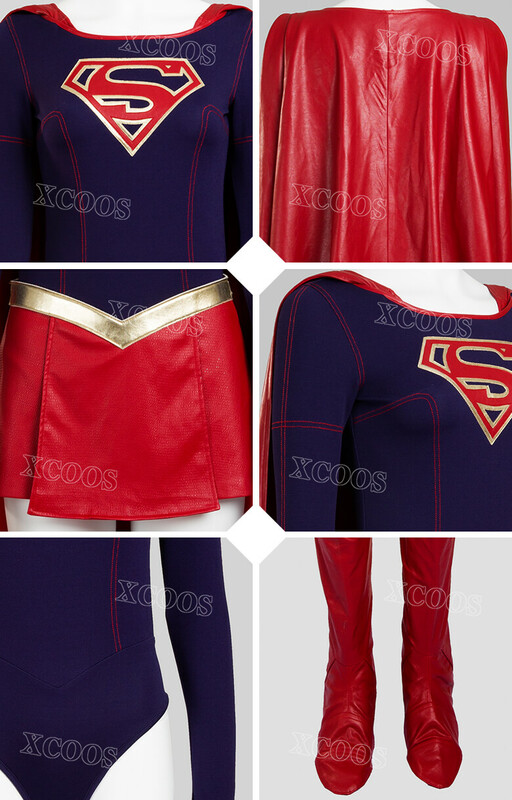 So we present you the classic Supergirl Cosplay Costume with a red and blue dress featuring the Superman logo now. 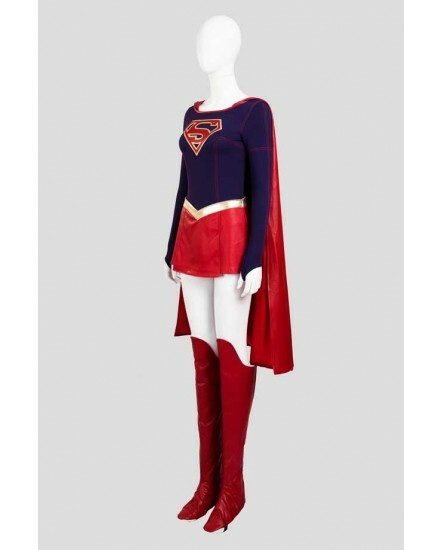 With an all around and right up to the edge print, the Supergirl Halloween Costume has a detachable cape so you can tell the bad guys to show off! 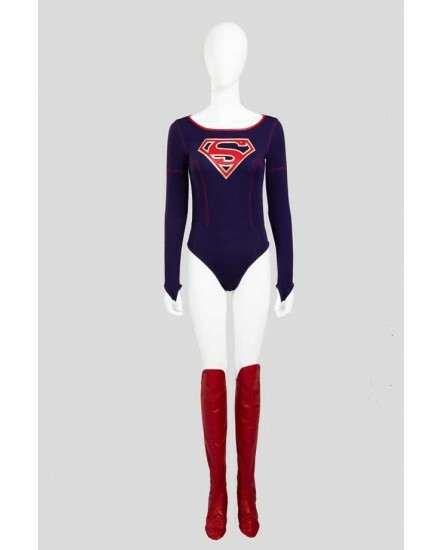 Supergirl cosplay costume is just as insidious as her personality and here we will help you to clinch her perfect look. It features everything you could want in a superhero outfit, like the bright, slim-fitting jumpsuit and synthetic leather red skirt. The top has a big “S” shield on the front, and the gold foam belt fits around the waist for a look that adds some special part for this skirt. 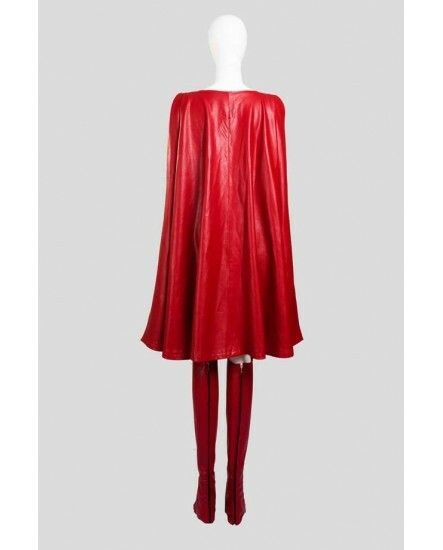 The red cape adds that final dash of super hero flair to the look. 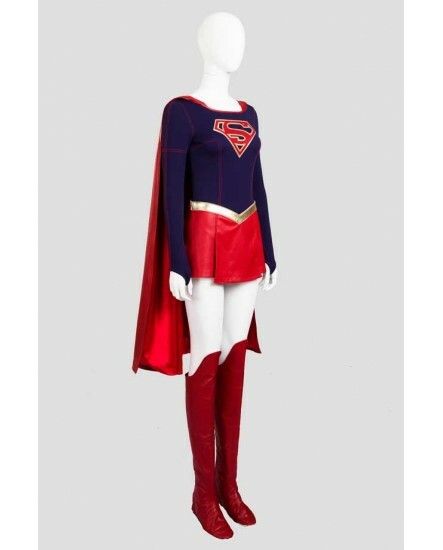 · Include everything you need for a high-flying Halloween adventure! 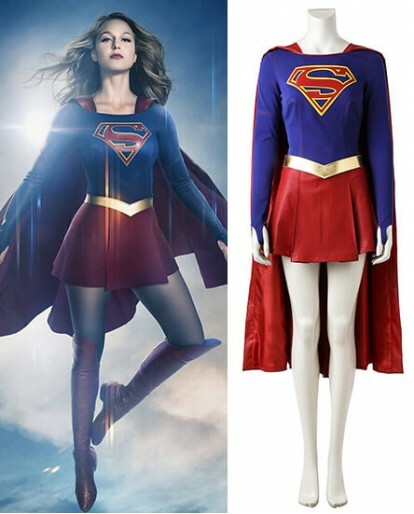 · Form fitting dress features a blue top with Supergirl logo and an attached cape along with a metallic red skirt and attached gold belt. · Shoe covers are included with the full set. 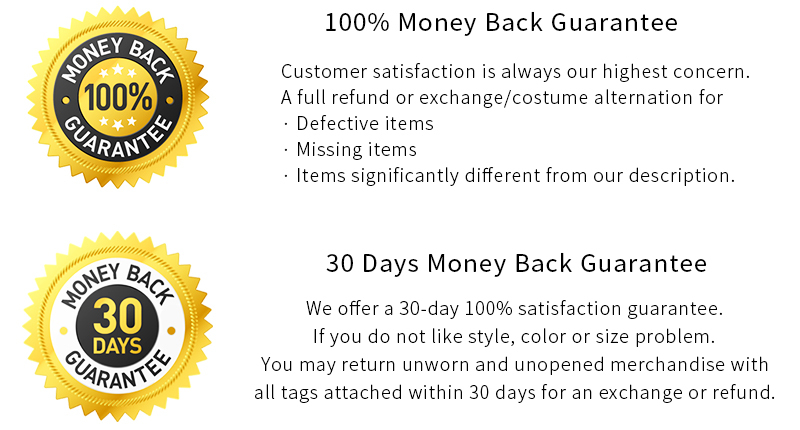 · Custom made is also available to make the costume fit you the best. 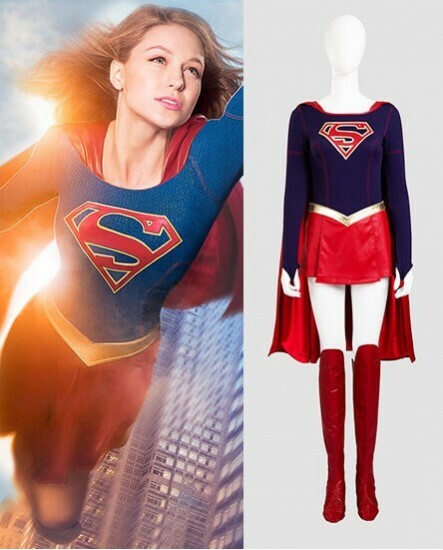 The tailor made Supergirl Cosplay Costume will make you feel pretty super. 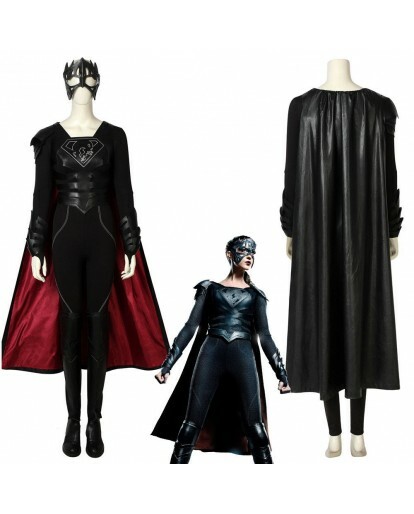 And it is all you need to head to the next costume party with the confidence to save the day. 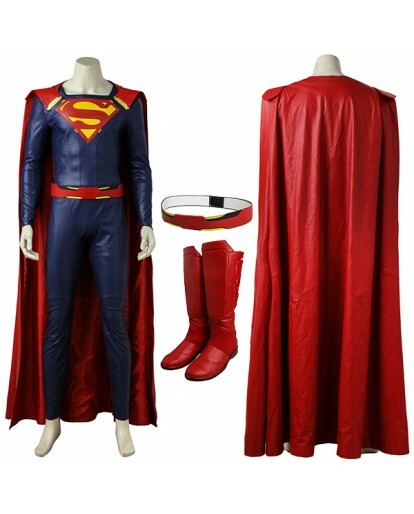 The color of the costume is also very suitable for photo shoot, you will look amazing when you take photos with others. As for the size, please refer the "Size Chart".